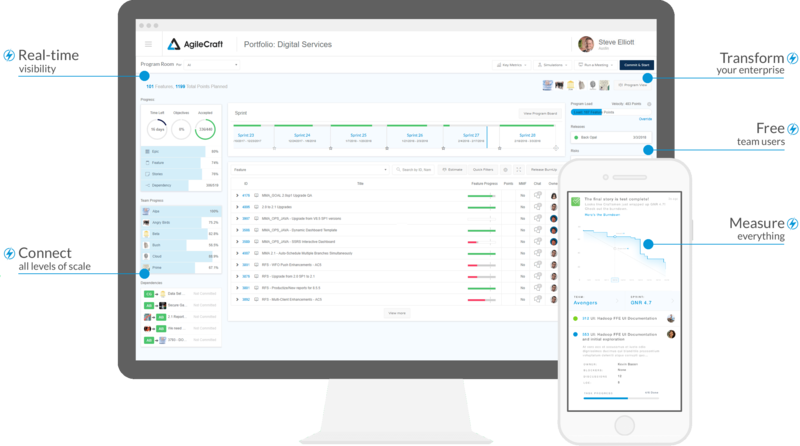 Atlassian today announced that it has acquired AgileCraft, a service that aims to help enterprises plan their strategic projects and workstreams. The service provides business leaders with additional insights into the current status of technical projects and gives them insights into the bottlenecks, risks and dependencies of these projects. Indeed, the focus of AgileCraft is less on technical teams than on the business teams that support them and help them manage the digital transformation of their businesses. As the name implies, AgileCraft focuses on the Agile methodology, though it also offers a bit of flexibility there with support for frameworks like SAFe, LeSS and Spotify. It supports pulling in data from tools like Atlassian’s Jira, but also Microsoft’s Team Foundation Server, IBM’s RTC and other services. Over the years, Atlassian started embracing users and use cases for its tools that go beyond its core tools for developers. Jira and Confluence are the prime examples for this. Today’s acquisition continues this trend in that AgileCraft aims to bring to the rest of the company many of the methodologies that tech teams use. Atlassian doesn’t typically make a lot of acquisitions. Its pace is close to about one major buy per year. Last year, the company picked up OpsGenie for $295 million. In 2017, it acquired Trello for $425 million, the company’s biggest acquisition to date. Other major products the company has acquired include StatusPage, BlueJimp, HipChat and Bitbucket (all the way back in 2010).